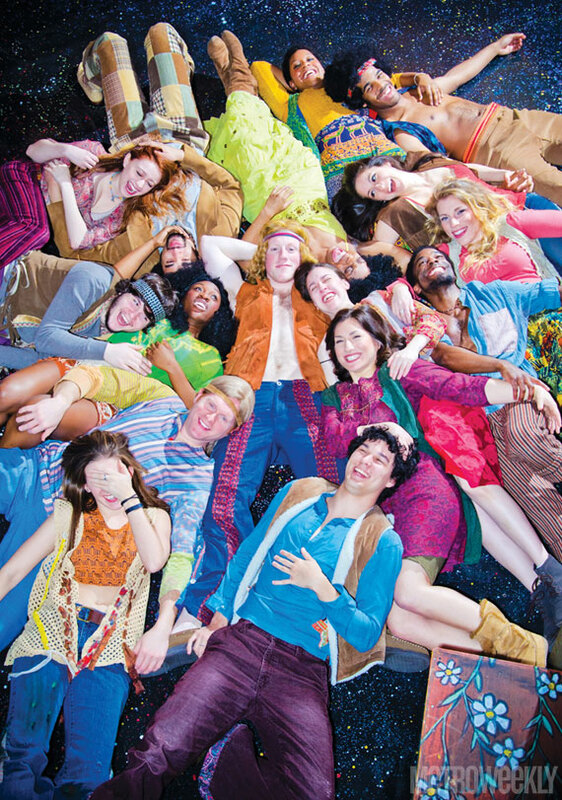 “This is our crowning achievement,” Mark A. Rhea told me the day after I had seen Hair at Keegan Theatre. I saw the show on a Wednesday night, at one of the performances that had been added to a run extended through Apr. 27th. The house was full and very enthusiastic. This is an exciting time at Keegan. The company now owns its space. (“That’s awesome,” Rhea said.) They’ve bought Church Street Theatre, which earlier had been New Playwrights Theatre and later was where Keegan got its start back in 1997 with a production of Cat on a Hot Tin Roof. Keegan has embarked on a capital campaign to renovate the space, making it ADA compliant, increasing the rest room capacity (go to see Hair, you’ll know what I’m talking about), and supplementing office and other space. Rhea told me that all is copacetic with their neighbors. “There’s no discord there; there’s really good support. We’re feeling pretty good.” The renovation will be extensive, rendering the theatre dark for a period of seven to nine months. It should begin around the first of July. Rhea is in the midst of doing a lot of work — interviewing contractors, dealing with zoning issues, getting permits. And, of course, raising funds. File this under reverse sticker shock. It shocked me, given the eight and nine figure sticker prices for some of the other recent renovations in town, that Keegan’s work will only be in the range of $2.1 million. Keeping up one of the, if not the, oldest and most storied small performance venues in the city, and encouraging more wonderful work such as the current production, strikes me as important. It also strikes me that a modest contribution that might get lost in a $135 million campaign at a larger company will make a huge difference at Keegan. Naming opportunities are available for the contributions that are less modest! 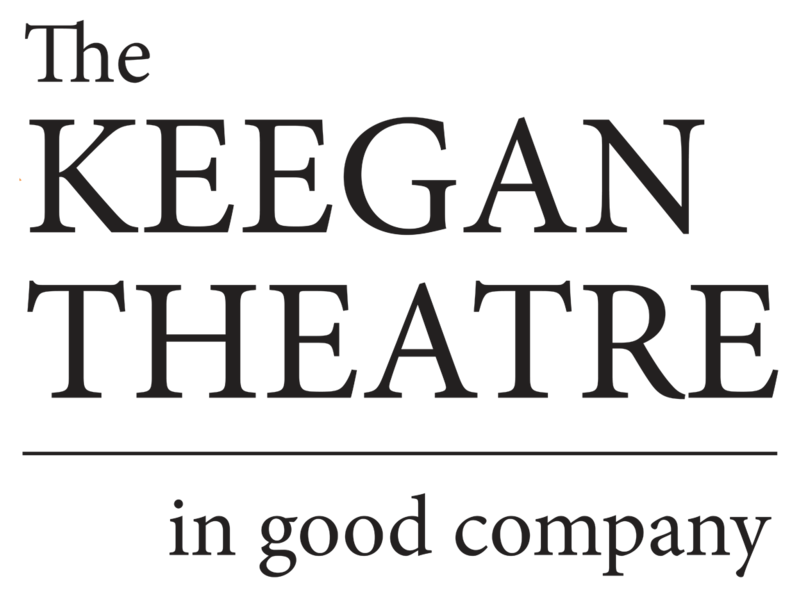 Information about that can be found here or by e-mailing ingoodcompany@keegantheatre.com.